Welcome to Employment WordPress Theme Documentation! If you need anything feels free to ask questions by contacting our 24 hours support accessing our Help Desk and opening tickets, you are free to open as many tickets you want. This is the instruction manual for the Employment WordPress theme powered by Visualmodo we ask that you read this document carefully as it will help you a lot in creating your website, it shows you much information of the theme. Also, we suggest you take a look in the help area on Help Desk for video tutorials and step-by-step guides. In the first 3. steps of your Employment WordPress Theme documentation, you will see how to get it started properly. 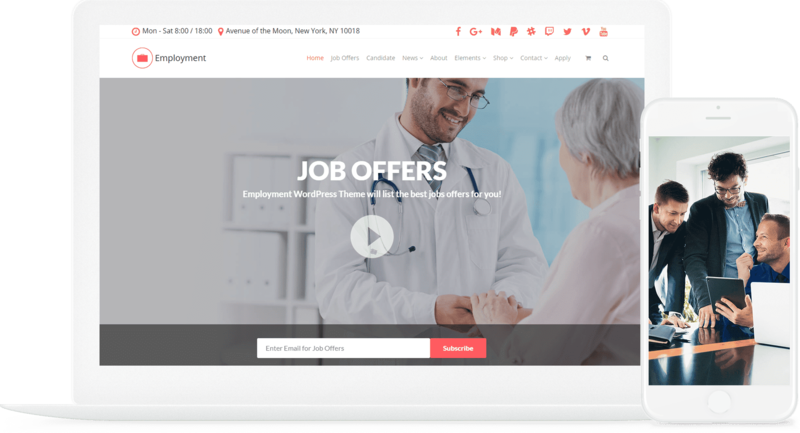 When you purchase our Employment WordPress theme you will receive an e-mail with a link for download, once you made the download you will have a big folder in.ZIP format (This is the case you have purchased our themes on the following marketplaces; Mojo-Marketplace / Creative-Market / Visualmodo Store) with something like 9 MB of size on the marketplaces with all the theme content called ‘ThemeMaster.zip’, on this folder you will see the following files; Demo content, Theme files, License and Documentation. Please don’t try to install this ThemeMaster.zip file on your WordPress, if you try you will see an error message because it’s the row-folder. In the case you don’t want to install your employment WordPress theme or have any difficulty you are FREE to contact our support on https://visualmodo.com/account/login/ or e-mail us on contact@visualmodo.com and ask one of our support crew to enter on your site and install your employment WordPress theme for you, it’s easy, fast and free for all the Visualmodo clients. Just make sure you send us on this contact the right info, we will need your login information/site URL and a print-screen / screenshot from your theme purchase with the date. 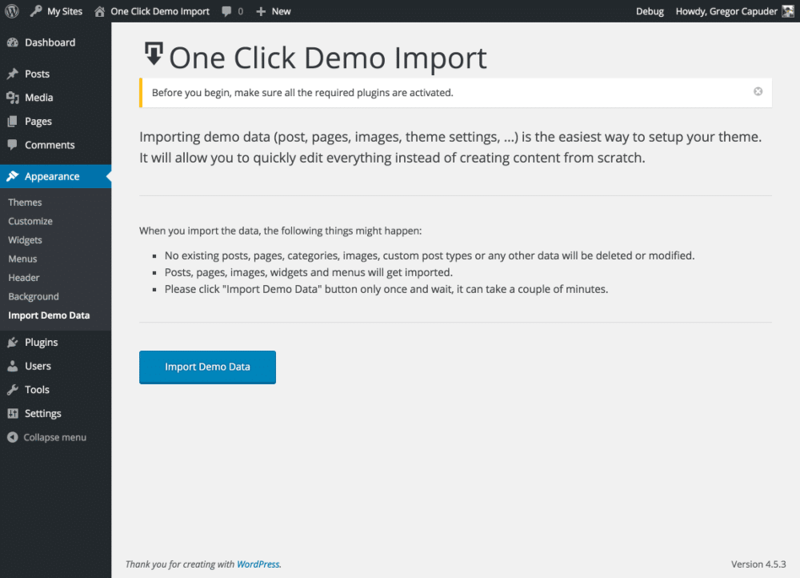 One Click Demo Import – One of the most useful features that a WordPress theme can have. You will love to start the website development process at the same starting point as the wonderful theme demo pages, so you can quickly design the website of your dreams. You can fully use our carefully created demo content to start with a ready-to-go site with 1-click only! NOTE: To this function properly work please make sure you install the ‘1-click import’ plugin and in addition, have your parent theme active (only activate the child theme after the demo import process). In this area of your Employment WordPress theme, you will be able to add your logos, change the fonts, place some custom codes, change your site global layout and change your footer text header options and all your site layout using our employment wordpress theme. This area works in the same way as ‘Customize’ under ‘Appearance’ tab normally used on free WordPress themes however the theme options have much more tools. To change your site menu navigation style from horizontal to vertical you just need to go to your WordPress dashboard > Theme Options > Header > select ‘Vertical’ and save your changes. 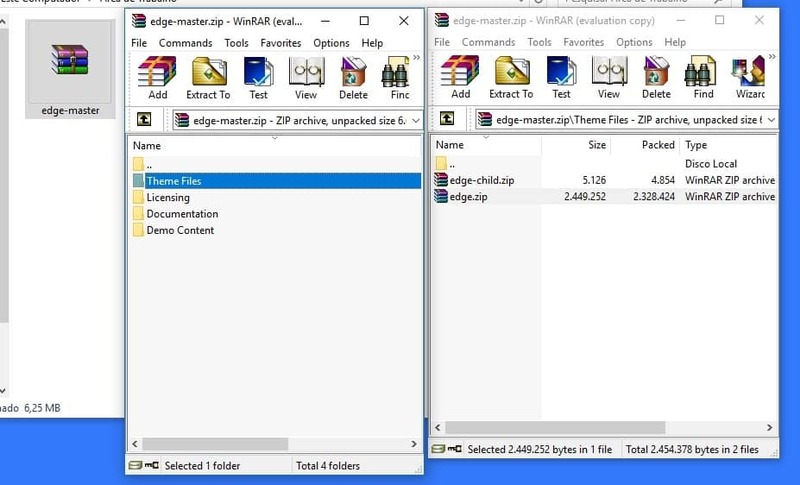 your menu set as ‘primary menu’ under wp – appearance – menus – will be placed as vertical as is showed on http://theme.visualmodo.com/employment or you can choose a horizontal navigation style just like this video tutorial shows. The best way to create amazing pages with the theme is using the employment WordPress theme custom page builder elements, in this area we will show you how to use it. you will be able to use this shortcode to build pages, posts or galleries. We build this shortcode to add more features to the theme page builder. 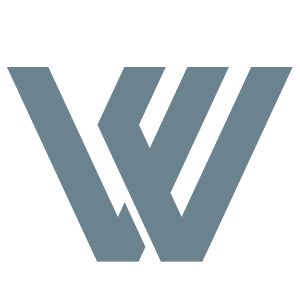 You will install our exclusive WordPress Visual composer add-ons plugin for free as soon as you activate our Visualmodo theme on your site, a message for you simply click-to-upload our plugin. To build a footer on employment WordPress theme you need to place information in three areas of your WordPress: 1 – Theme Options, Footer Options to apply text, 2 – Appearance, Menus, create a menu with pages and save it as ‘footer menu’ and 3 – Appearance, Widgets and apply widget on three tabs, footer 01, footer 02 and footer 03. Please take a look at this tutorials to see how to build a footer with widgets, menus, and text. You have third-party amazing plugins on the theme pack that you gain for free while using your employment WordPress Theme, however, the way you use the plugins is not about our responsibility because we are theme developers, so we suggest you take a look on the plugins devs sites and search for plugins docs and video tutorials. You are free to use or not any plugin, your theme will work normally without it. Employment WordPress Theme came with a drag and drop smart page builder, to start to use it you need to go on your ‘Pages’ Add new, when you see the WordPress normal editor you need to click on a button called ‘Visual Composer’ and you will see a button called ‘Add Element” click on it to see all the page builder elements. The page builder used to be used while building pages, portfolios, teams and knowledge bases or any other custom post type that you wants to create, in back-end or front-end modes, however, we don’t suggest you use it while building blog posts because blog posts use a WordPress native template, or keep using your page builder, however, make sure that you add the ‘post except‘ so the blog posts index page does not display the page builder codes instead of contents. 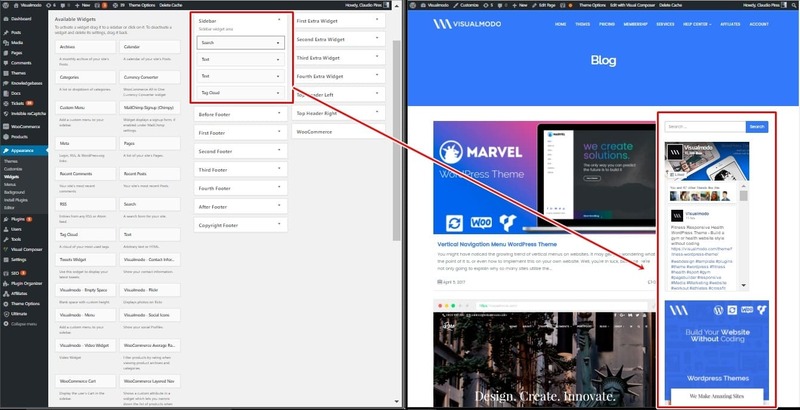 To see all the elements on the page builder and how to use it please go to the plugin documentation on https://kb.wpbakery.com/docs/learning-more/ and video tutorial guides on https://wpbakery.com/video-tutorials/ Please take a look in some video tutorials of this great WordPress Page Builder plugin to make your page layouts in a simple way. If you need any help or have any suggestions, please feel free to contact us for Help Desk. If you loved the theme, we would really appreciate it if you could rate it. Thank you for reading our Employment WordPress Theme Documentation!